India’s capitol city, Delhi, is an intoxicating blend of ancient and modern. The city is a melting pot of cultures and religions, visible in the scope of its historical sites, monuments and architectural styles. Islamic shrines, Hindu temples and Mughal forts-- just a few of which include Purana Quila, Jama Masjid, and Red Fort --are scattered throughout Delhi. British colonial history is reflected in its many wide roads and tree-lined boulevards. 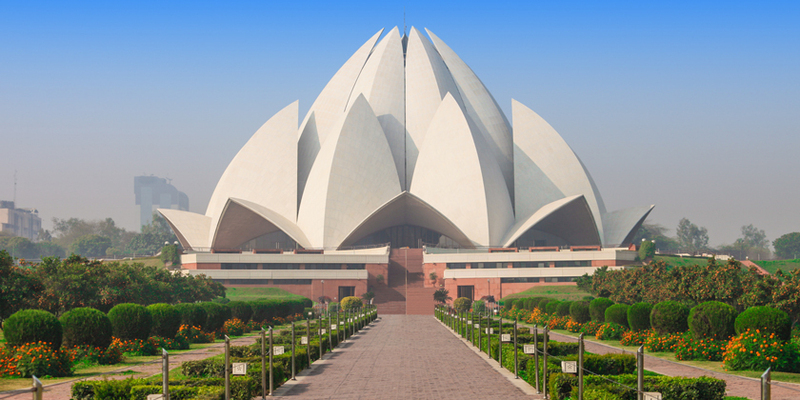 More recent addition to the city’s monuments include the Lotus Temple, Akshardham Temple and the Garden of Five Senses, a 20-acre public park filled with art, gardens, fountains, and a food and shopping court.